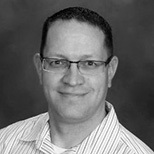 Mark Balkenende is a Sales Solution Architects Manager at Talend. Prior to joining Talend, Mark has had a long career of mastering and integrating data at a number of companies, including Motorola, Abbott Labs, and Walgreens. Mark holds an Information Systems Management degree and is also an extreme cycling enthusiast. Machine learning helps pinpoint errors in large datasets for cleansing before entering the analytics pipeline. This webcast shows you how to set it up.